Magallanez Remodeling and Construction, Inc.
Chaun Miller Design And Construction is a full service design/build general contractor with the capacity to undertake building projects from all phases including concept, design, feasibility, planning/construction documents through construction with a turn-key completion. 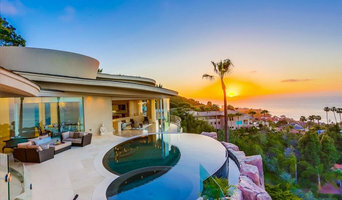 We are located in Del Mar, CA and provide complete project and cost management with achieving the optimal balance between price, quality and time objectives, specified by each client. It is our goal to provide an extremely high level of service to our clients, making each project as enjoyable and ultimately rewarding as possible. 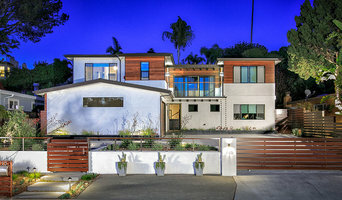 Murray Lampert Design, Build, Remodel is a 4 generation design/build contractor who believes in educating clients not only on the home remodeling process, but also on how to make sure everything is included in a project quote. Some homeowners are enticed by companies who substantially undercut other bidders, only to find out there are hidden costs for items like cabinets, granite, finish work, etc. leading to major cost overruns. With us, everything is spelled out in our scope of work, helping your remodel project stay within budget. Our design-build process begins with a free in-home consultation to discuss your ideal remodeling project. From there, our team gets to work, developing designs, blueprints, 3D renderings, and more to give you a clear picture of what your finished project will look like. Throughout the entire process, your dedicated Project Manager will be available to answer questions or address any concerns you may have. You'll also be in close contact with our CEO, Director of Design, and entire management team. We don't employ any sales people - instead, you'll work directly with the people who run the company and will actually be working on your project. 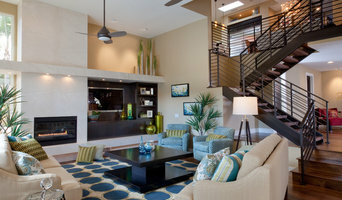 Award Winning San Diego Full Service Design Build Firm & Remodeler! Custom Residential Landscape Design and Build Company where creativity has no limits. We service North County San Diego and Coastal San Diego areas. We also offer consultation services. 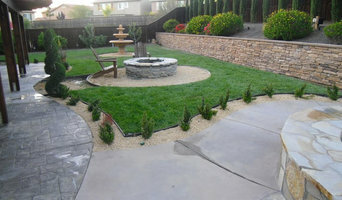 We are professional landscape and pool contractors, a design-build firm, specializing in curb appeal, concrete hardscape, flagstone, block walls, irrigation, planting, artificial turf, low-voltage lighting, wood trellis', and much more... As the owner, Tony Vitale, I come from a long line of landscaper's dating back to my great grandfather. With many years of experience, worldly travel, and a bachelor’s degree in architecture, I am more than qualified to take on any project you are looking to create! All of our team members have a long history of landscape experience, dating back to the late 80's. We got started in landscape maintenance which gave us a broad knowledge of plants, irrigation and drainage systems. From there we ventured into the world of hardscapes, ie: flagstone, pavers, concrete, and found out that we can be really creative with these natural materials. Now we take on all wood structures, ie: trellis', pergolas, patio covers, and pavilions. Our goals are simple: design for your taste and build for your budget. We enjoy a good challenge! CRS Builders is a full service licensed general contractor, dedicated to servicing clients through San Diego. with over 20 years of experience, We have become a top choice among home owners for their remodeling needs. We separate ourselves from competitors by bringing you the very best talent under one roof. With our vast resources, you can guarantee that you are getting the most experienced craftsmanship at competitive rates. Our project experience ranges from basic interior remodeling to large-scale residential and commercial new construction and renovation. In today’s competitive business markets it is critical to hire a construction firm that is flexible and can offer single-source contracts. By placing the needs of our clients first, CRS Builders are able to provide exceptional services without wavering customer care. With years of experience in the construction industry, we are the experts you need to take care of your home or business. Please contact us today for your free consultation and lets work together in creating your perfect dream home. Chad of All Trades, Inc. is a Design/Build contracting company serving homeowners and designers of San Diego County. We outclass our competition with streamlined client service, tailored attention to project details and quality work. As a partner to the trade, we welcome relationships with Designers and Architects. Our client-centric design-build process leverages industry-shifting technology to support each phase of your home improvement project. Our work is well communicated and completed on time and on budget. It’s a process you will enjoy! By choice, COAT selects San Diego’s best craftsmen to deliver the highest quality work. Our collaborated efforts result in successful and beautiful renovations. Chad of All Trades Inc. has a generous collection of references from clients in your area. Award Winning Landscape Design & Construction serving North San Diego areas including Carlsbad, Del Mar, La Jolla, Solana Beach, Encinitas, Leucadia, Fallbrook, Poway, Rancho Bernardo, Mira Mesa, San Marcos, Cardiff by the Sea, Escondido, Fairbanks Ranch, Rancho Santa Fe, 4S Ranch, Scripps Ranch, Rancho Penesquitos, San Elijo Hills, Vista, Oceanside. San Diego's Premier Remodeling & Design Firm Best of Houzz 2015-2017!